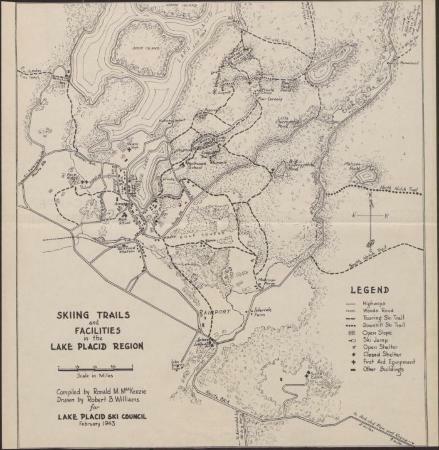 Map of the Lake Placid region, in the Adirondack Mountains, including roads, cross country and downhill ski trails, ski jump, and buildings. Scale of one inch equals half mile. Source: Adirondack Museum Library, Harry Wade Hicks papers, MS 63-270, box 3, folder 44.